Kingston Council has identified what is describes as 'potentially dangerous trees' near Malden Green in Worcester Park. Unfortunately I don't have any details on how they identified that they were potentially dangerous - no doubt some kind of complex psychological profiling was deployed. Or perhaps intelligence was gathered by Special Branch (fnarr fnarr fnarr..). Urgent work is scheduled to start this Thursday (23rd September) to remove/defuse/or otherwise calm down these dangerous trees. 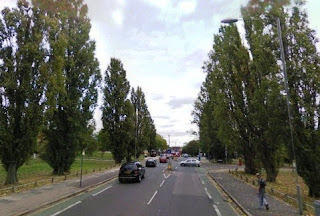 The worst part is that as the works will involve use of a crane, temporary traffic lights will be regulating the traffic on the Malden Road from Thursday for the duration of the works (which are expected to last up to five days).